Success! Sheer Beaded Top Gets Repaired!! 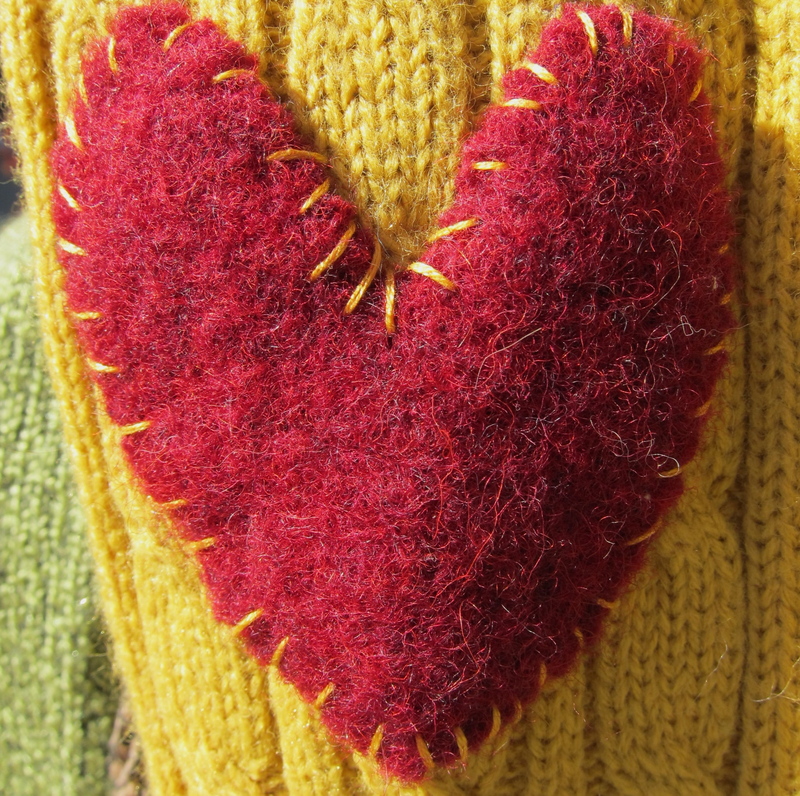 Project of the Day: Handspun Wool Necklace! If anything even approaching good is going to come from this disastrous economy it might be a new awareness about reusing stuff we already have. Reusing more means consuming less, and that translates into less going into landfills — not to mention more money in your pocket. Ka-ching! If you like that idea but aren’t sure where to begin, check out this post on Zero Waste from Squidoo. There are dozens of ideas on everything from turning tin cans into lanterns and toys to reusing dryer lint (it’s a great way to get logs going in the fireplace — who knew?). 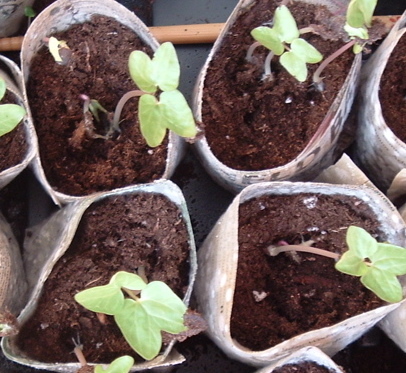 If you’re into gardening, the Squidoo article shows how to make seedling starter pots from empty paper towel or toilet paper rolls, similar to the ones shown above, but those are made from newspaper. Even if you only find one useable idea, it’s a start! Now to figure out what to do with the rest of it. 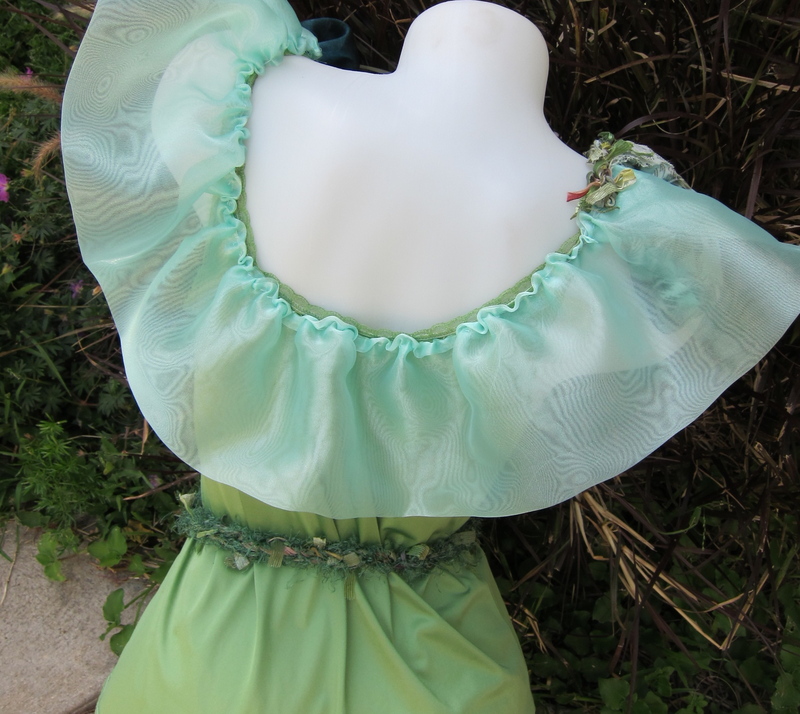 My first impulse was to add something right below the fabric that’s already there, like a lace ruffle. But I’m afraid that’s going to make the person wearing it look like a linebacker, since that’s already the biggest part of the jacket. What Would Daisy Mae Wear? I like to think she’d wear the new cut-offs I’m working on. Let’s face it — Daisy’s been wearing the same outfit way too long. Unfortunately, no preview of her new look until later today, when the camera battery is recharged. 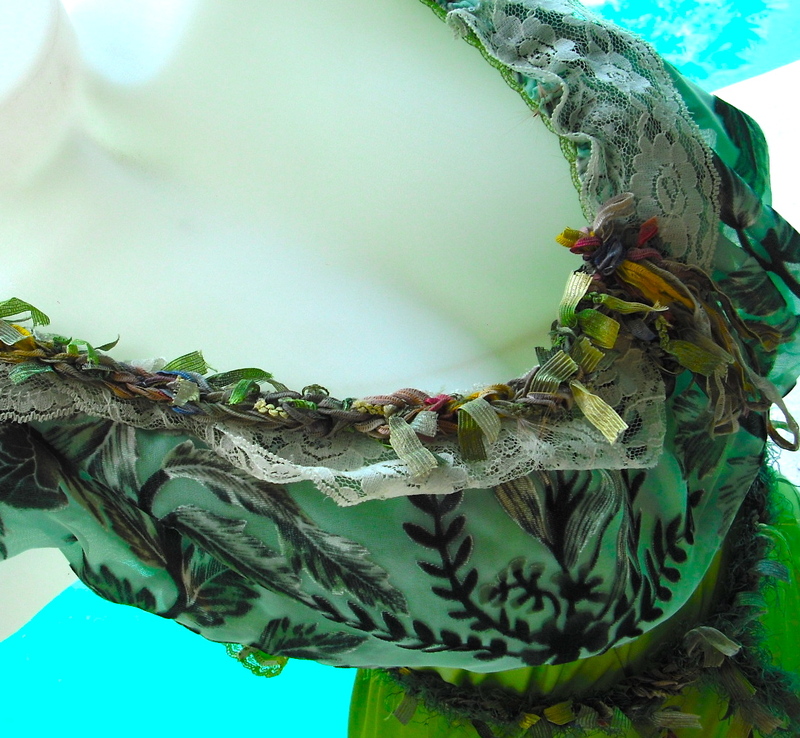 So for now, all I can say is that the deconstruction/upcyling/repurposing has begun … stay tuned! One of many, actually, but this one is in need of revisions. 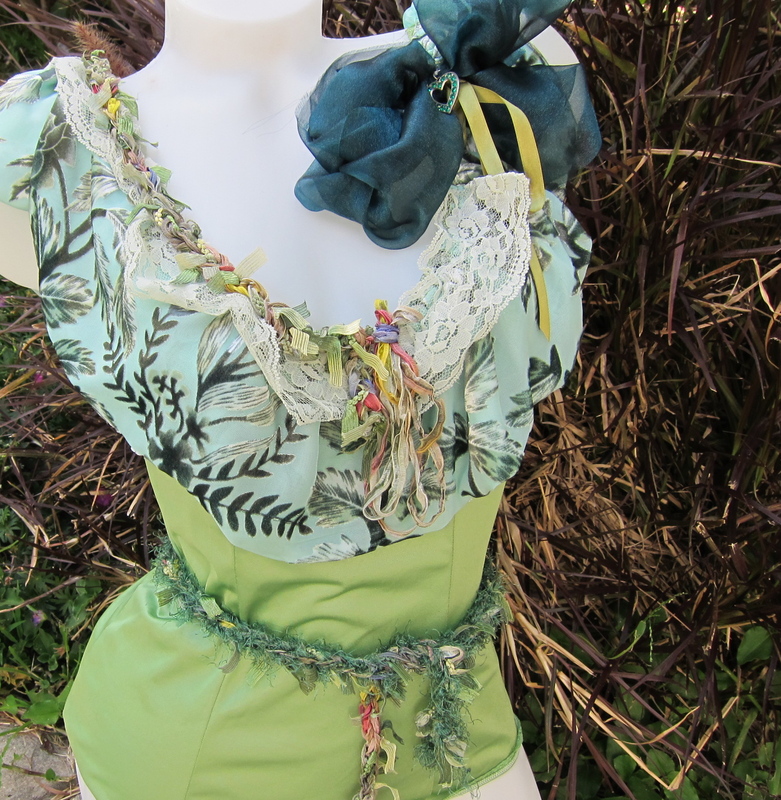 I love the front of this repurposed, upcycled camisole. 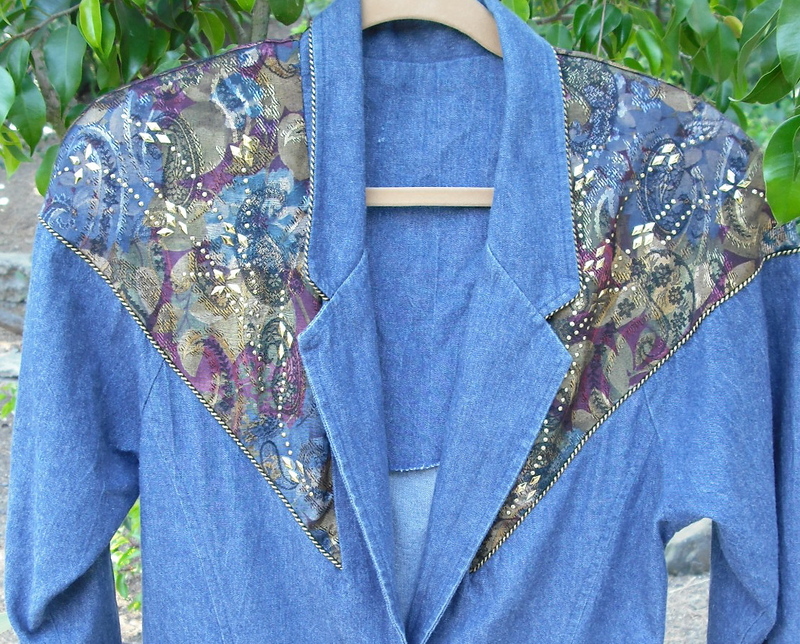 The back, however, is definitely a different story, one that belongs in the “what was I thinking” files. 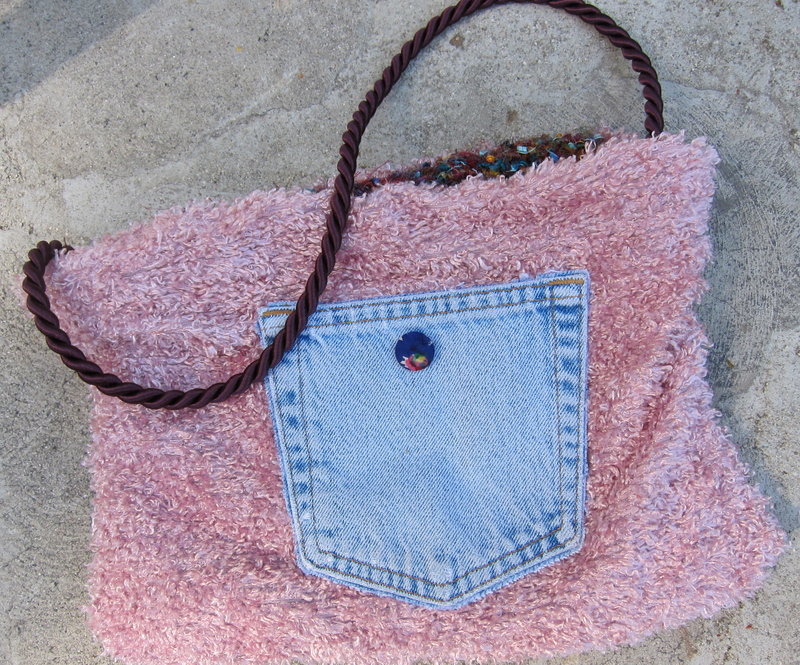 This little purse is kind of cute — at least in person. But for some reason, it’s not photographing very well. It’s knit from recycled silk sari yarn, which I love to use, since it means income for women in remote areas of Nepal, who otherwise don’t have many options for earning money. Plus, it’s reversible! The fuzzy pink material is from an old top I found at a thrift store. It’s a nice little everyday purse, very eco-friendly and all. But for some reason, it does not photograph well. I should probably fire my photographer, but since I am my photographer, that’s not a really good solution. Halp!! But in this case, the “we” is actually me. 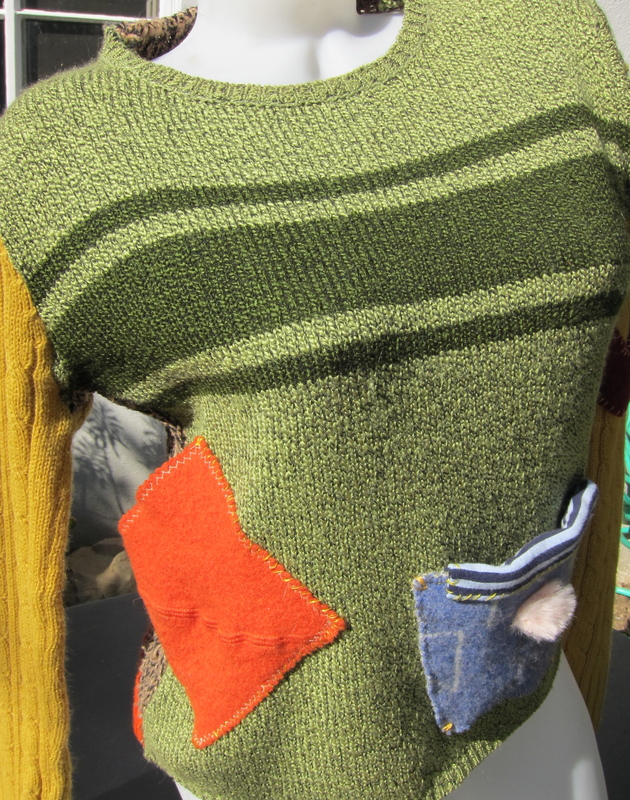 I’ve been so tempted to try combining various sweaters into a Frankensweater and finally just gave in and did it. The result (above) isn’t awful. In fact, I would wear it. Actually, I will wear it, because it’s not salable. 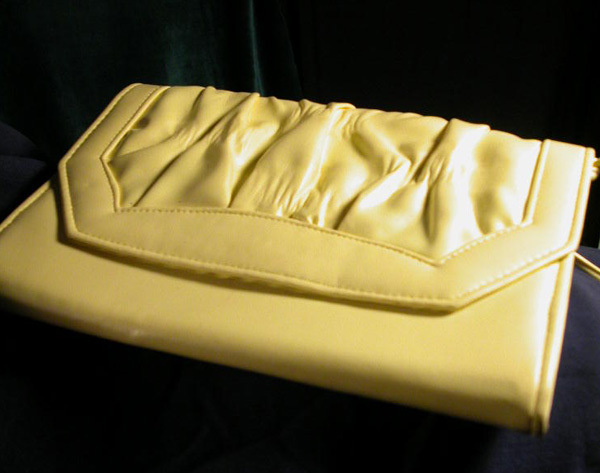 I don’t have a serger, so the seam edges are unfinished, and that’s not very professional looking. But I like the little details you can do with sweaters that aren’t appropriate for lingerie. 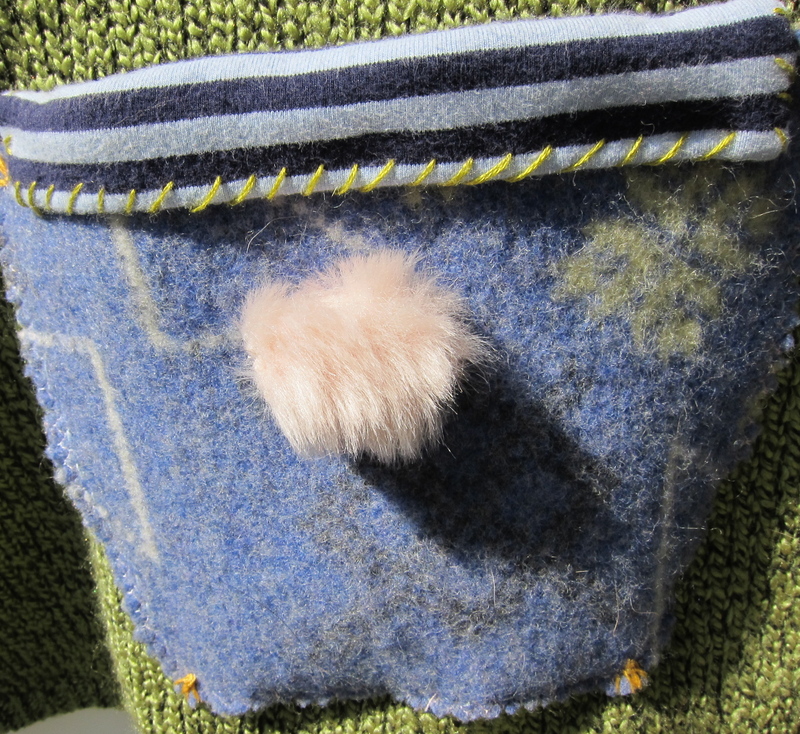 Like the funny pockets and the little felt heart on the sleeve. Yes, it’s a cliche. 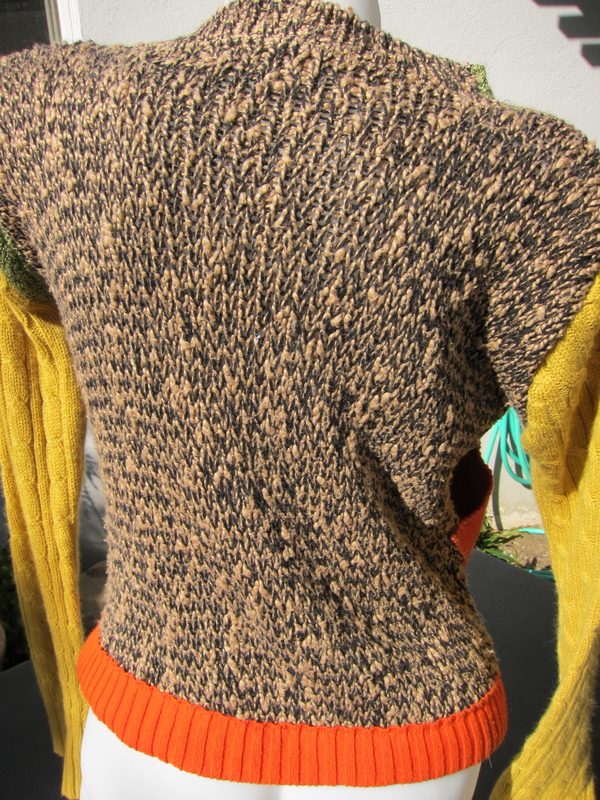 But remember, this is an experimental sweater. 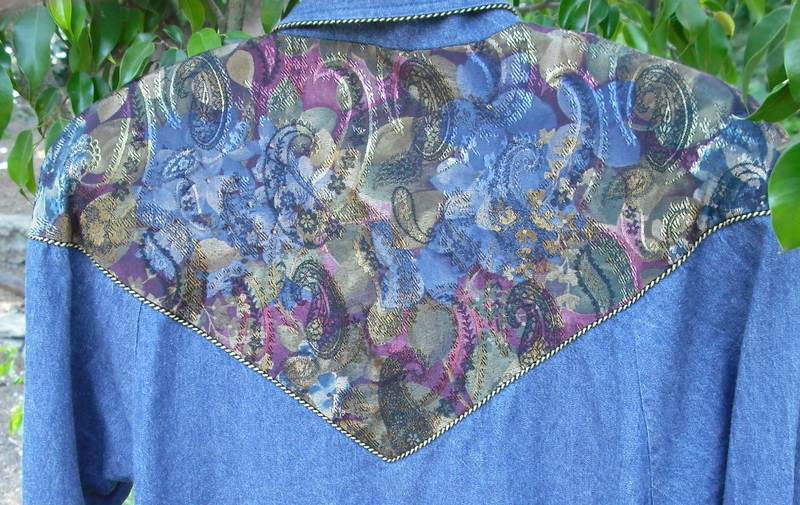 And then there’s the back, which could use a little more something or other, but what? Meanwhile, I’m looking for advice on sergers. Suggestions are welcome! 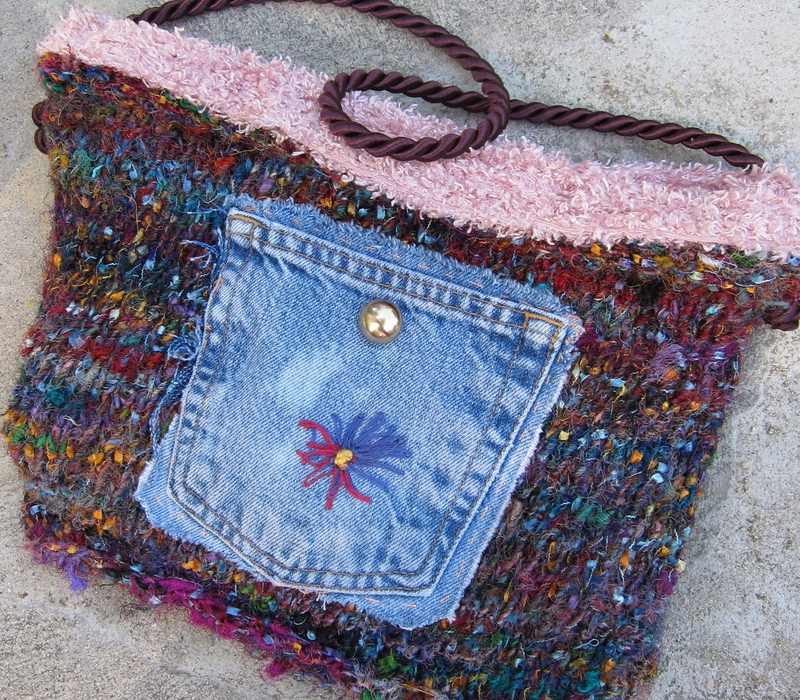 A sweet little purse. But a) there’s a very faint but visible grayish mark across the front (you can’t see it in the photo but it’s there) and b) it’s kinda boring, in that predicable, “seen this at least a hundred times, nothing new here” kind of way.